Portable weighing machine for automatically weighing bulk materials. To fill ships or containers with the exact desired amount of product. The unit is portable and can be moved by forklift, ship or truck to every decided place. 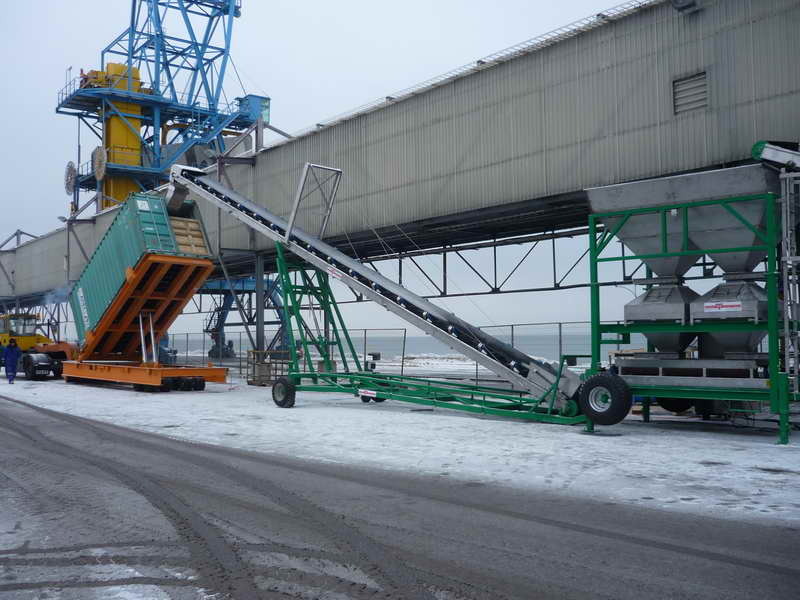 Capacity is up to 200 tons per hour. The complete weigh operation is fully automatic. 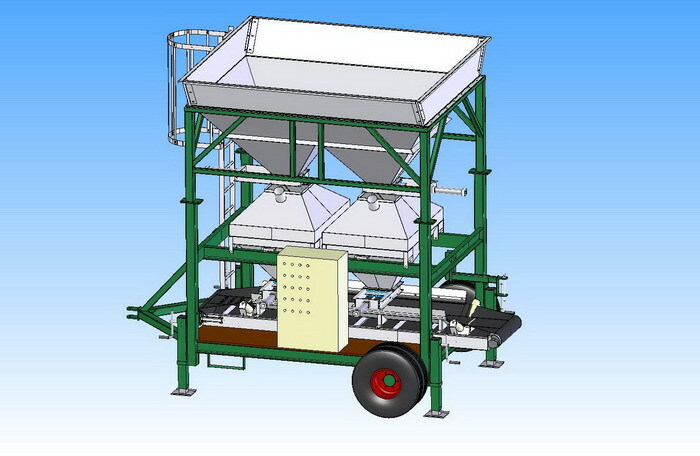 This Portable Discontinue Weigher is portable and can be moved by forklift, ship or truck to every decided place. 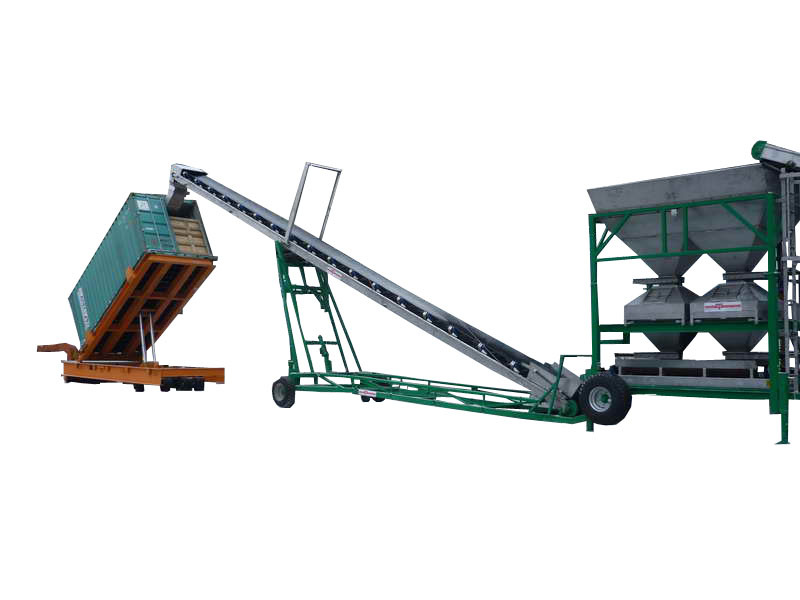 The machine capacity is up to 200 tons per hour by continuous discharge and filling. The system has a stainless steel intake hopper. In the frame, weighing scales are installed, to weigh the product. 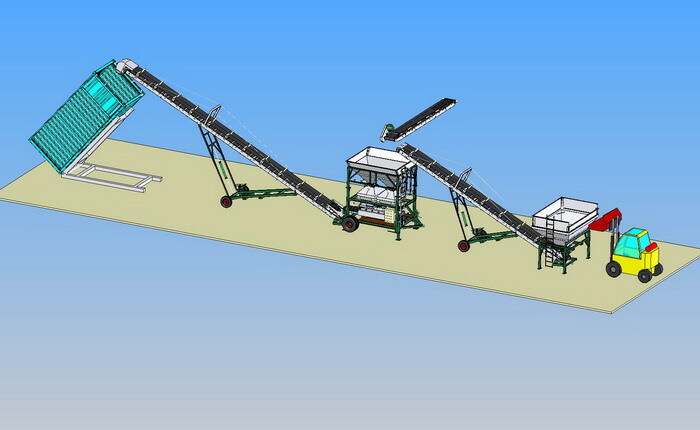 Two fill slides discharge the product directly into the scale hopper after filling and weighing. 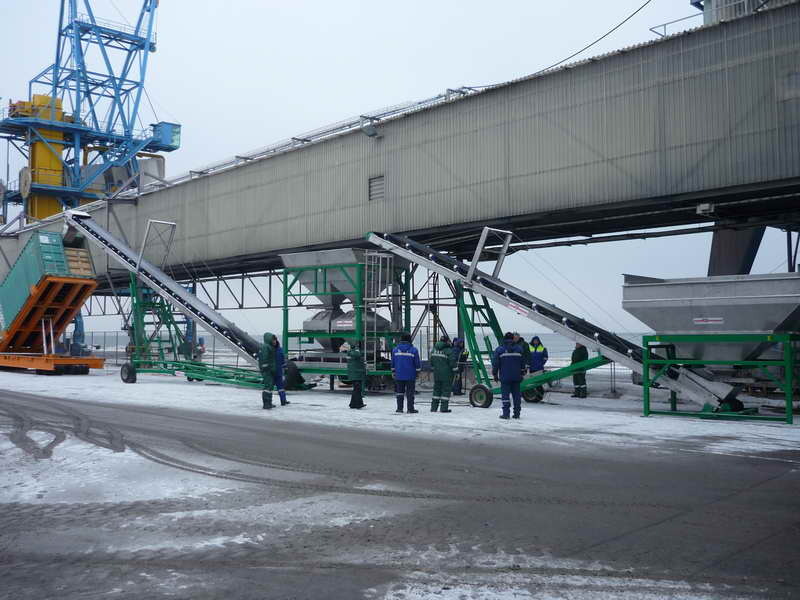 The weigher scale discharges to the central belt conveyor. The machine works with an electrical panel and 2 digital weigh indicators.